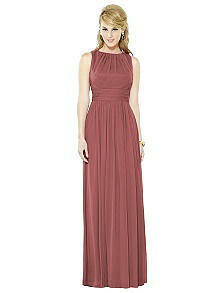 Simply stunning details make this sleeveless lux chiffon bridesmaid dress extraordinarily stunning. From the shirred inset waist and skirt to the chic bateau neckline with flower rhinestone button and open back, this stylish dress makes it easy to enjoy a sophisticated evening. 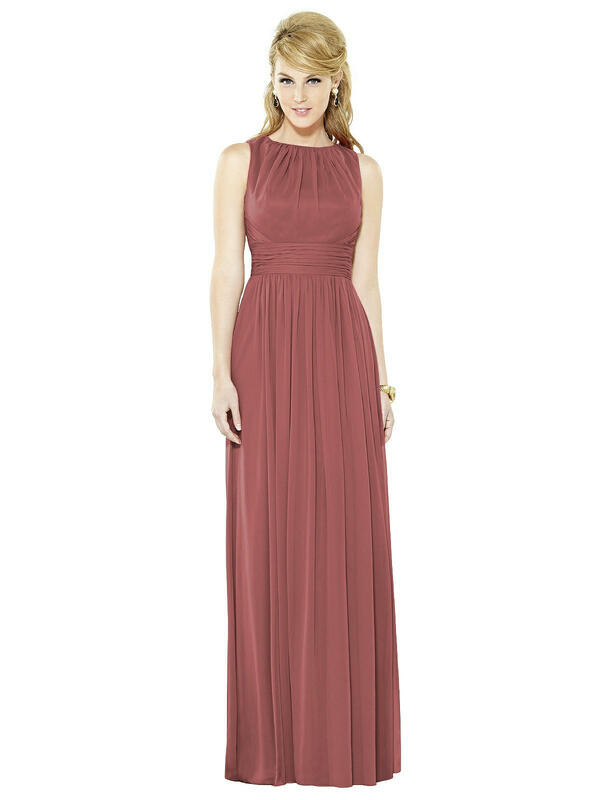 Fit Tip: The natural waist and bust measurement take priority for style 6709. If you are over by an inch or two on the hip, you should have enough room to release the side seams to allow for that variance. If you would like help choosing your size, please contact a Dessy stylist.